Your student-friendly, budget-friendly guide to this lively Floridian city. For college students seeking a stunning and adventure-filled city to explore, put Tampa, Florida on your bucket list. The city’s two most prominent schools, the University of Tampa and the University of South Florida, have beautiful campuses and are packed with students who know how to take advantage of all Tampa’s wonders. Home to endless entertainment and picturesque sights, Tampa represents the perfect city for a college student’s vacation. For enriching cultural experiences in Tampa, visit one of the many art and entertainment venues in the city. The Tampa Art Museum and the Museum of Photography reside right in Downtown, and the nearby Straz Center shows everything from Broadway musicals to comedy shows to local plays. Slightly north of Downtown lies Ybor City, a historic and alternative district with art galleries, quirky shops, unique restaurants, and lively dance clubs. Also be sure to check out the lineups at the MidFlorida Credit Union Amphitheatre, because this outdoor venue is always hosting amazing concerts year-round. Another way to enjoy Tampa is to bask in the gorgeous sunny weather. Visit Bayshore Boulevard, the world’s longest running sidewalk, to walk, run, or bike along the sparkling waters of Tampa Bay. Another lovely walking route is the Riverwalk, which stretches along the Hillsborough River and weaves through the skyscrapers of Downtown. 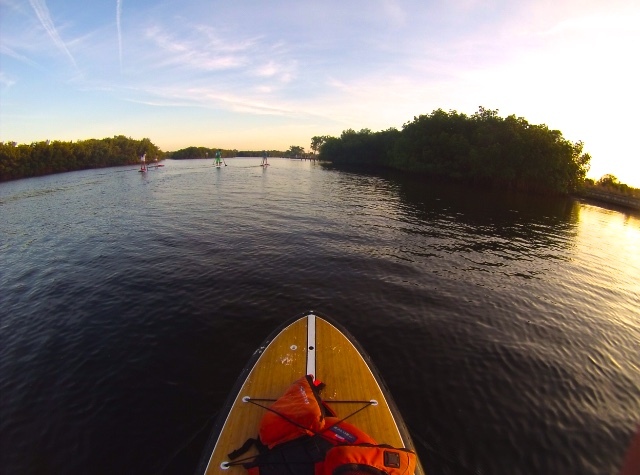 Kayak, canoe, paddle-board, and boat rentals are dotted throughout the city so you can enjoy Tampa’s outdoors with an adventurous twist. For a more relaxing day, Downtown Tampa is home to two grassy parks. In front of the minarets of the University of Tampa lies Plant Park, a waterfront oasis of park benches, palm trees, and sunbathing spots. Across the river lies the Curtis Hixon Waterfront Park, which is great for having picnics, playing frisbee, and doing yoga. As for beaches, the turquoise waters of St. Pete Beach are only a 40 minute drive from Tampa. Clearwater Beach, which is ranked one of the best beaches in the country, is only a 30 minute drive from Tampa. For a closer sandy experience, Tampa’s own Davis Island has a few beaches that are small but still full of white sand and a relaxing ocean atmosphere. For amazing food and drink, visit South Howard Avenue, or “Soho”, to try one of the many delicious restaurants lining the street. Here you can find plenty of bars with cheap Happy Hours, and these bustling places are normally flooded with colleges students. Local favorites include Macdintons Friday and Wednesday happy hours, boozy brunches at The Lodge, and Taco Tuesday at the Green Lemon. For the health-conscious, Soho Juice, So Fresh and Fresh Kitchen are great places to find tossed salads and cold-pressed juices. Another great location for food and drink is the Tampa International Mall, which has everything from sushi, to Irish food, to healthy smoothies, to fancy cocktail bars. On Sunday mornings be sure to check out the Hyde Park Market, an open air street market full of local produce, fresh breads, and other artisan foods. Downtown Tampa has a huge variety of trendy food and drink venues. For a casual evening with great food and spectacular views of the city, visit Taps Restaurant Bar and Lounge on N. Ashley Drive. For a more upscale dining experience, visit Malio’s Prime Steakhouse, a fancy restaurant that overlooks the Hillsborough River. For those who really want to treat themselves, head back to Soho and dine at Bern’s Steakhouse. The food is very expensive, but you can always just visit the upstairs Dessert Room and taste heavenly sweets while sitting inside giant wine barrels. A great time to visit Tampa is the last week of January, which hosts the annual Gasparilla Pirate Festival. This weekend means every Tampa resident can dress like a pirate, indulge in loads of food and drink, and party at the massive parade on Bayshore Boulevard. Another fun place to visit in Tampa is Busch Gardens, a vibrant fusion of amusement park and roller coasters with wildlife and animal exhibits. For sports fans, there are many major league sports venues scattered throughout the city, and games happen all year round from the Rays (baseball team), the Lightning (hockey team), to the Buccaneers (football). From the beauty of the beaches, to the captivating lights of Downtown, to the various social opportunities in Soho or at Gasparilla, Tampa represents a charming oasis of vibrant culture and Floridian spirit. When they’re not soaking up the sun, college students are constantly embarking on some exciting adventure and immersing themselves in the life of the city.